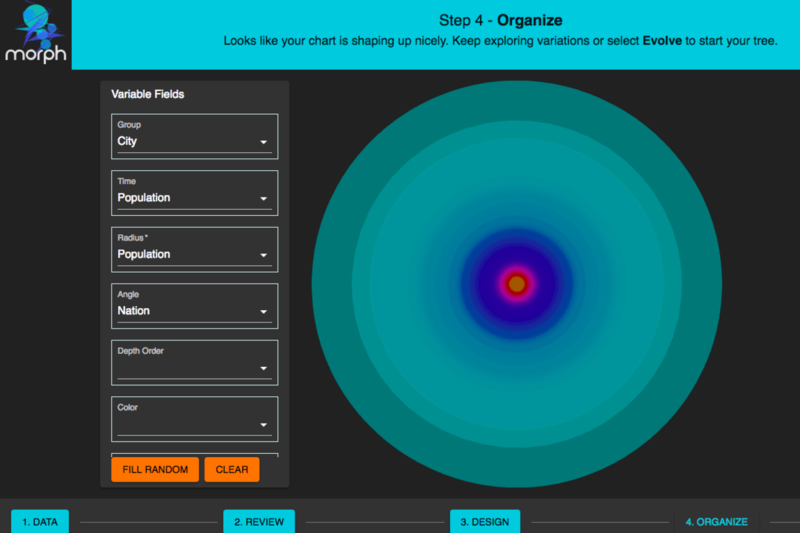 Datavized, a company that creates data-driven software, and Google have released a free tool called Morph that allows users to make animations, designs, and interactive art with data. After uploading their data, users choose from designs such as area timelines and scatter plots to generate art. Users can edit their designs by selecting variables from their dataset to apply to fields such as a design’s radius, depth, and angle. Morph has also published an instructional video to help users begin working with the tool. What Colleges Does Your School Compare Itself To?